Arborcare, Inc is a family owned and operated business dedicated to providing expert tree care with extreme attention to detail and a level of quality that is second to none. 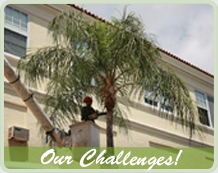 We serve residential, commercial, and municipal institutions in Miami-Dade and Broward. 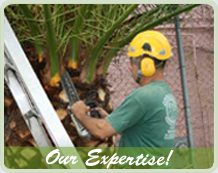 Our President, Joe R. Rodriguez has been an ISA-Certified Arborist for 15 years and has over 30 years of experience in South Florida. 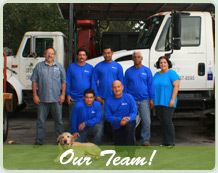 On a daily basis he supervises every project performed by our professionally trained crew. As members of national and local tree-care organizations, we stay current with the industry's latest developments. Every project is done in accordance with the practices and safety standards set by the industry. In order to protect you and your property we carry Liability Insurance and to protect our staff we carry Worker's Compensation. Our business is licensed in Miami-Dade and Broward (please visit Qualifications). We consistently provide unbeatable customer service and build great rapport with our clients, with whom we have a long history of loyalty and trust. This dynamic helps us keep track of the growth and development of our clients' trees and ensures that we know exactly what we need to do to keep our customers happy and their trees healthy. Contact us for a free estimate. We visit your property and assess the work needed. Please fill out the form explaining your needs. We love trees, let us take care of yours too!